An award for trainer of the year joins the three existing award categories – employer of the year, intermediate learner of the year and higher level learner of the year. The awards coincide with VQ Day on 7 June, a celebration of vocational qualifications for learners, trainers, and employers. The new VQ Trainer of the Year Award recognises individual trainers who have made a telling contribution to supporting learners in the workplace to achieve excellence whilst also constantly improving their own skills and knowledge. Linda Thomas, Coleg Sir Gâr’s chief hospitality lecturer and Sector Skills Champion, has welcomed the introduction of the new award. 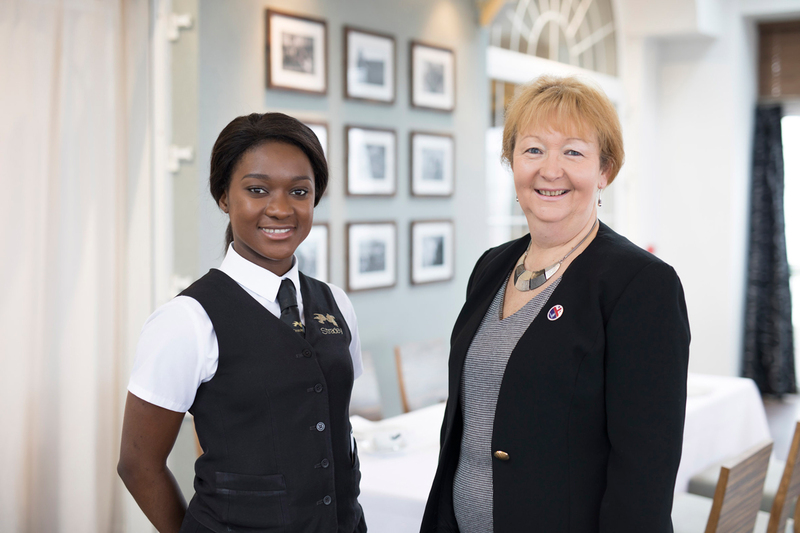 She returned to Coleg Sir Gâr, where her training began 25 years ago, and uses her knowledge and excellent network of contacts in the hospitality industry to arrange placements for learners at five star hotels and restaurants across the UK. Linda from Tumble near Llanelli, counts herself very fortunate to have been trained by “professional, dedicated and knowledgeable” tutors at Coleg Sir Gâr when she began her career and welcomed the creation of the new VQ award to recognise the contribution of trainers.